Pro Life Anti Abortion March in D.C. The annual Pro life March in Washington D.C. is attended by hundreds of thousands of people who come to protest the evil of abortion. It is also the largest non reported, or at least under reported, national protest. Last year it was reported that the Pro life protesters were middle aged and older. The MSM did not publish pictures of the thousands of young people, and they avoided the fact that it was the Pro Abortion counter protestors that were from the graying population. Well, I guess that pictures and reports from the Christian and Pro life presence on the internet, is too hard to refute. This year, at least from the news accounts that I have seen, they are trying another tactic. They are implying that the young people were all bused in from Catholic and Christian schools. Translation: young people are not really Anti Abortion and Pro life, they just want a field trip and a day off from school. What they fail to understand is that the tide is turning in the US.. 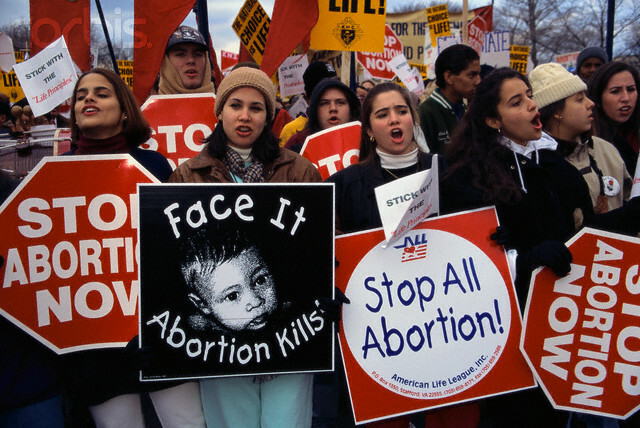 Many polls confirm that more people consider themselves Pro life than support abortion. This is especially true among teens and young adults. They tend to understand that human life is sacred, unrepeatable, and unique. They understand that Pro Choice really means pro the killing of an innocent human being. Imagine 25,000 young Catholics cheering for their bishops, priests, religious and deacons! Imagine a standing ovation at the mere mention of the Holy Father. Then imagine a moment in the Mass when those same 25,000 young people come together in a perfect silence while praying for the safety of the unborn. That was the scene at the Mass for Life in Washington’s Verizon Center. Here is the really neat part. About four miles away the same thing was happening with another 10,000 young Catholics in the DC Armory building. Now, add the rest of us older folks attending Mass in dozens of parishes throughout the city and you had a pretty exciting day to be Catholic. I have been to several hockey and basketball games in the Verizon Center but no professional athletic team could excite me more than that many teens worshiping Christ and resolving themselves to fight for the rights of the unborn. Read more of Deacon Turners post here. This entry was posted in Culture of Death, Pro life and tagged Anti Abortion, Media. Bookmark the permalink. 1 Response to Pro Life Anti Abortion March in D.C.